Combining style with durability, these cross back bar stools are a sleek seating solution for any bar or bistro. 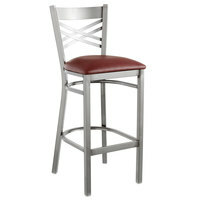 Whether customers are sitting at the counter or a raised table, these stools are built for comfort. The cross back design provides stability as well as a resting support for guests to lean on. 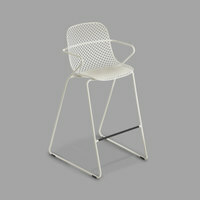 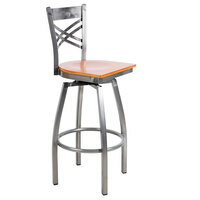 Also make sure to check out other great items from Lancaster Table & Seating, BFM Seating, Flash Furniture and Grosfillex. 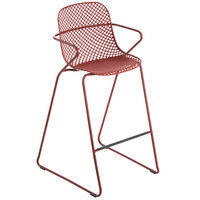 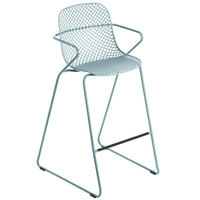 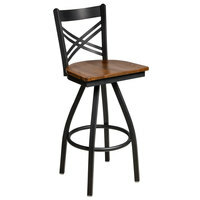 We offer these stools in a number of heights to best fit your dining area’s individual needs. Additionally, you may choose from a number of attractive, natural colors to provide a professional, subtle appearance. 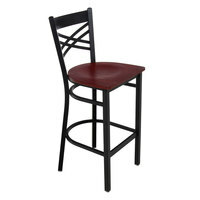 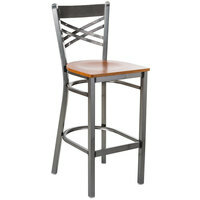 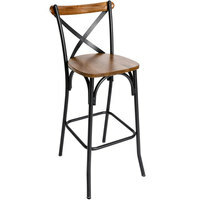 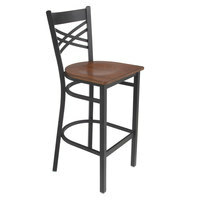 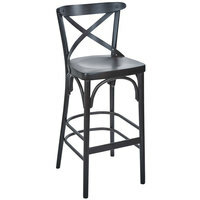 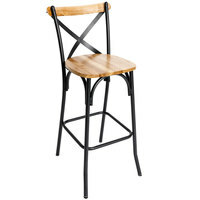 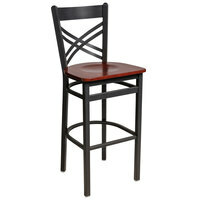 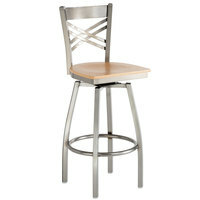 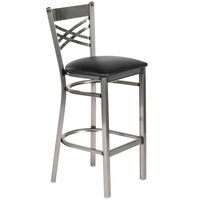 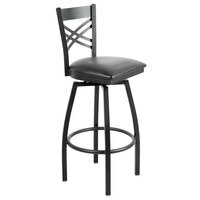 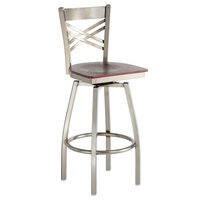 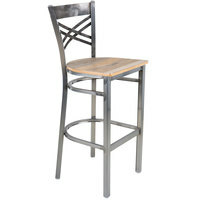 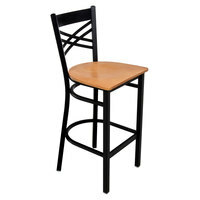 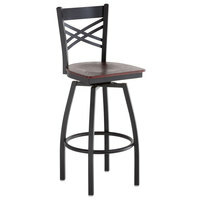 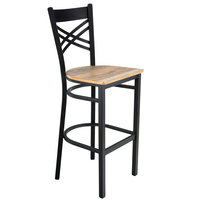 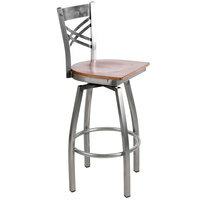 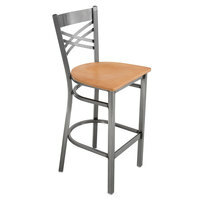 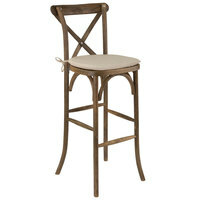 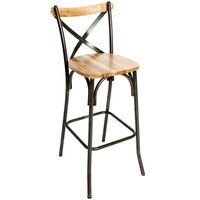 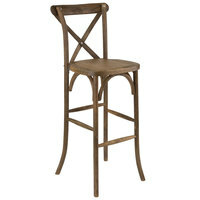 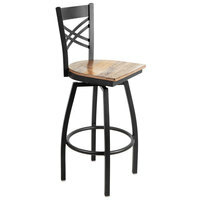 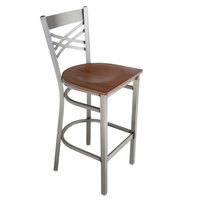 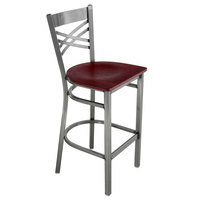 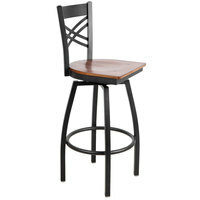 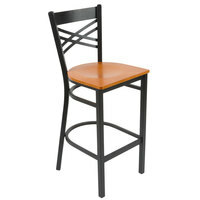 If you’re looking to accommodate guests of any size, we even offer cross back bar stools with high weight capacities. 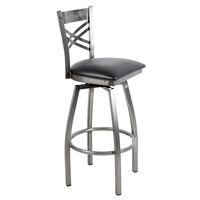 If you operate a bar, be sure to check out these essentials including pitchers, undercounter ice machines, and bar blenders. 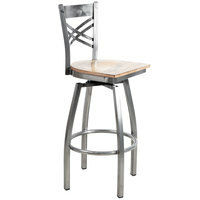 If you're wondering where to buy cross back bar stools, we have a large selection of cross back bar stools for sale at the lowest prices.